Thiruvananthapuram has been termed as the country’s breast cancer capital, with cases at a record high of 40 per lakh of population. The revelation was made during the Kerala Chapter of Indian Radiological and Imaging Association (IRIA) Conference here last week. 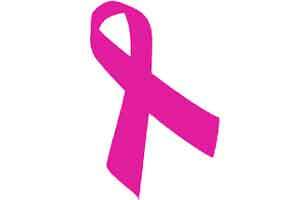 It noted that 50 per cent of breast cancer is occurring in the age group of under 50 years. Nine lakh women are diagnosed with breast cancer every year and it is the second most common malignancy next to cervical cancer. Speaking to IANS on Sunday, S.Pradeep, President of the Thiruvananthapuram chapter of the IRIA, said the figures do look alarming as the national average of incidence of breast cancer is 20 per lakh population, while the Kerala average was 14, but in the state capital it it stood at 40. “A few reasons could be attributed for this and one is that these figures are taken from the registry of the Regional Cancer Centre in the capital city,” said Pradeep. Manoj T. Pillai, IRIA’s State Secretary, said breast cancer was the most common malignancy affecting one million women worldwide and it constitutes about 21 per cent of 519,000 yearly deaths. “We need more awareness and upgradation of public information system to overcome the prevailing situation,” said Pillai. The appropriate age for a mammogram is usually over 40 years but it should be done as a diagnostic tool for those who have symptoms, irrespective of the age. “If annual checkups are done, detection can be made early and even in stage 2 of breast cancer, it can be treated. One reason why in the past detection took place late was because of a social stigma as many do not wish to get a check-up, but that has changed in the cities. The need of the hour is that awareness should be spread for timely check-ups,” added Pradeep. Speaking to IANS, the husband of a patient whose left breast was removed last month said that “it was tough for my wife to adjust to the reality, but now she has come to terms after being told that she should consider herself extremely lucky that this it detected quite early”. “It was just through a casual self-examination by my wife she felt a lump and the same day she underwent a mammogram and in a week’s time it was removed. I have now asked my sisters and told all my friends to see that their wives too undergo a check-up,” he said, whose 40-year-old wife underwent a breast removal surgery. Interesting titile line to share awareness of breat cancer…likely to be fiction than fact. Rather should be awared the best city in screening, recoding keeping and breast awarness in the country?